Can Debt Spark a Revolution? 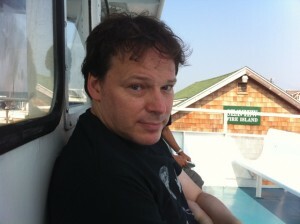 David Graeber on a boat at Fire Island. Photo David Graeber. CC-BY-SA 2.0. Occupy was right to resist the temptation to issue concrete demands. But if I were to frame a demand today, it would be for as broad a cancellation of debt as possible, followed by a mass reduction of working hours—say to a five-hour workday or a guaranteed five-month vacation. If such a suggestion seems outrageous, even inconceivable, it’s just a measure of the degree to which our horizons have shrunk. After all, only fifty years ago many people assumed we would have gotten to such a point by now. It is only by breaking the power of the engines of extraction that we can once again begin to think on a scale and grandeur appropriate to the times.